A traumatic brain injury occurs as a result of forces from impact disrupting the functioning of brain cells and their ability to effectively transmit signals. As a result, changes in physical, cognitive, and emotional aspects may be observed. Physical symptoms include headaches, dizziness, nausea, vomiting, drowsiness and sensitivity to noise and light. Furthermore, there may be cognitive deficits in memory, attention, concentration, processing, reaction time and the feeling of one’s brain being in a “fog”. Emotional changes such as irritability, depression, anxiety and changes in sleeping patterns may also be noted. Depending on the severity of the injury, these symptoms may be seen within a day following the event and resolve as early as several weeks. However, in other cases the symptoms of the brain injury persist for longer periods of time and may never truly resolve. The visual system comprises a large amount of space in the brain and has many components that must be intact in order to effectively take in, process and apply visual information. In traumatic brain injury, many aspects of the visual system may be affected and this results in visual symptoms including losing one’s place or skipping lines when reading, reduced reading speed and accuracy, occasional or constant blurry vision, double vision, eyestrain or fatigue, as well as increased sensitivity to motion and light. This can make previously simple tasks unbearable, such as going to the grocery store, driving a car, or doing computer work. The brightness of fluorescent lights may suddenly become debilitating and the noise and activity of the workplace may become overwhelming. Symptoms of dizziness or nausea may ensue when found in similar situations. 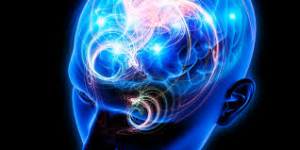 Rehabilitation of patients with traumatic brain injury is a multidisciplinary approach involving optometry, ophthalmology, psychiatry, neurology, occupational therapy, physical therapy and speech therapy, as many neurological systems may be affected. To complicate matters further, no two injuries are the same and the symptoms and effective treatments may vary between individuals. Appropriate therapy requires an individualized approach to training with the goal of utilizing the brain’s plasticity to maximize brain functioning, reduce patient symptoms and improve overall quality of life. Vision therapy has been shown to effectively restore appropriate eye movements and binocular function at a level of 90% or greater1 in patients suffering from mild acquired brain injury. Symptoms of blur, difficulty reading, eyestrain, or double vision are eliminated. For patients with more severe brain injury, prescription spectacle lenses with prism have been shown to reduce symptoms of double vision and enhance previously restricted vision due to visual field defects2. As a result, better spatial awareness is possible thereby improving stability and mobility and reducing incidences of running into unseen objects. For the patient suffering from traumatic brain injury, this means a significant reduction or complete resolution of visual symptoms negatively impacting life and a renewed ability to carry out daily activities. Vision therapy for oculomotor dysfunction in acquired brain injury: A retrospective analysis. Ciuffreda, K., et al. Optometry (2008) 79:18-22. Field Expansion for Homonymous Hemianopia by Optically Induced Peripheral Exotropia. Peli, E. Optometry and Vision Science (2000) 77:453-464. Visual Profile of Patients Presenting with Brain Trauma. Hellerstein, L., Kadet, T. Journal of Optometric Vision Development, (1999) 30:51-53. Assessment, Management and Knowledge of Sport Related Concussion: Systematic Review. King, D., et al. Sports Med (2014) 44:449-471. Neuroptometric Rehabilitation For Persons with a TBI or CVA. Padulla, W. Journal of Optometric Vision Development, (1992) 23:4-8.